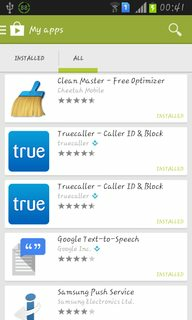 In the above image the True Caller application is shown twice and both are of the same no extra app on(or plugin for that particular app). I have force closed the application ,later switched the device waited for some time and restarted the device and still the application duplicate is displayed under My apps. The publisher of this app may have changed their package name when updating the app. Usually, apps have the same package name for its entire lifetime, which is how the phone knows to update a current app instead of installing a new one. If this is the case, you should uninstall the old app. The quickest (and easiest) fix is to uninstall both and reinstall the latest version. Provided the app's package name doesn't change again during the next update, this should solve your issue. i encountered the same problem yesterday but then today when i checked google play to check the rankings of my app, the issue was sorted out. As the google is doing massive changes so i reckon it was a fault from google side. Not the answer you're looking for? Browse other questions tagged google-play-store bugs or ask your own question. Why can't I see the +1 button on some apps in the Play Store app? 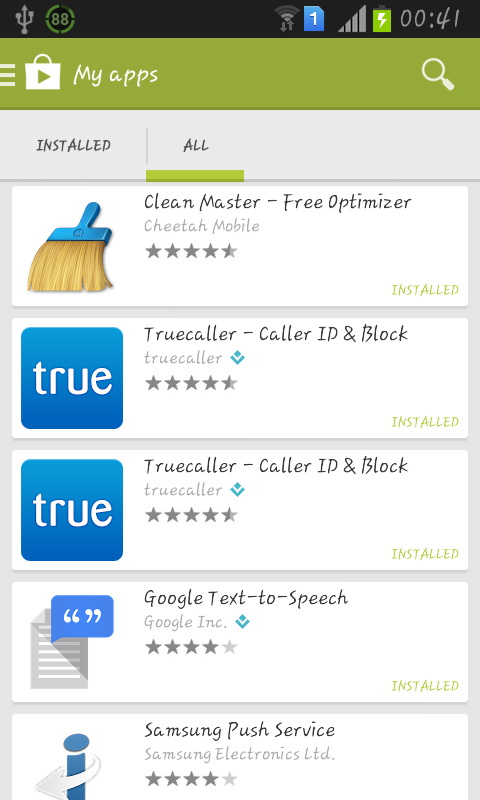 Why does Google Play Store show installed apps in the “Previously installed apps” section?